The special HOPE discount rate for rooms at the Hotel Pennsylvania is now sold out — if you want a room there, you'll have to book it at the normal rate, currently around $250 per night. You can do so either online or by calling +1 (212) 736-5000. You may (or may not) also be able to find better rates by dealing with travel agents, online hotel consolidators, and the like. However, if that's too much money for you, we have some other options. We have some slight discounts for other hotels in Midtown, and a bit of advice for places to stay with fewer facilities or slightly further away, either of which allows you to save some serious money. But whatever you do, you should book as early as possibly — New York is a popular place to travel, and lots of places are selling out. See you at HOPE! We've been able to secure discounts for HOPE attendees at two additional hotels, each about one crosstown block (less than five minutes' walk) away from the Hotel Pennsylvania and the conference. The New Yorker Hotel is offering HOPE attendees single or double rooms for $199 per night. 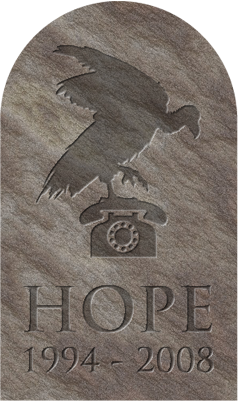 This rate is unavailable online, so to book rooms, you must call +1 (212) 971-0101 prior to July 10 and mention the HOPE conference. The Hotel Wolcott is offering HOPE attendees rooms for $210 per night. To book online, use this special link. There are probably hundreds of hotels in and around New York City. Here are some more options we've found. The Chelsea Star, about five minutes' walk from HOPE, has dormitory beds for $35 per night and private rooms starting around $229 per night. Hostelling International New York, about thirty minutes from HOPE by subway, has dormitory beds for $40 per night. The Americana Inn, about eight minutes' walk from HOPE, has rooms starting at $115 per night. The Courtyard Jersey City, about twenty-five minutes from HOPE by PATH train, has rooms starting at $169 per night. For more “budget” accomodations, see a list on ny.com, though some of their listed prices are a bit out of date. For those of you on expense accounts, the Affinia Manhattan is only a block south of the Hotel Pennsylvania, also on 7th Avenue. The Marriott Marquis in Times Square is also a favorite destination for tourists with money and businessmen seeking to impress. People are also talking about where to stay on the HOPE forums.